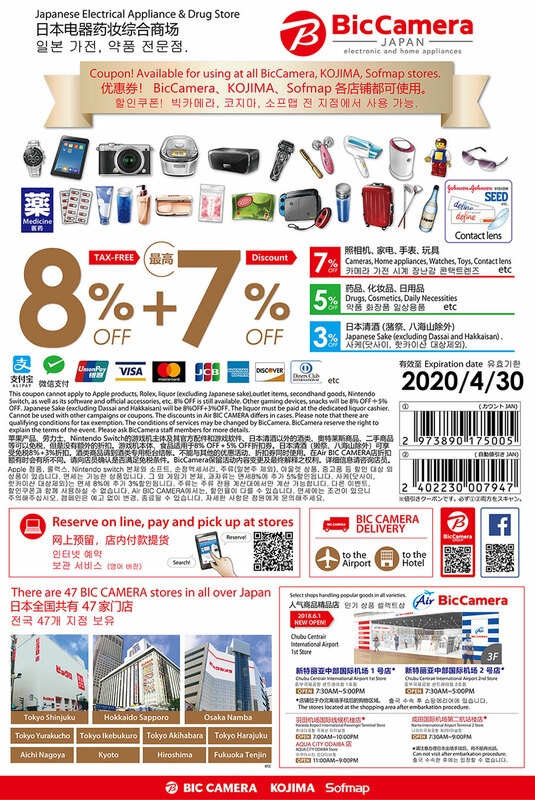 8%OFF＋7%OFF coupon is available in all BIC CAMERA, KOJIMA, Sofmap stores. 8%OFF＋5%OFF coupon is available in all BIC DRUG, KOJIMA drug sections. outlet items,secondhand goods,Wii U etc. Cannot be used with other campaigns or coupons. The discounts in Air BIC CAMERA differs in cases. This coupon is available in all BIC CAMERA, KOJIMA, Sofmap stores.